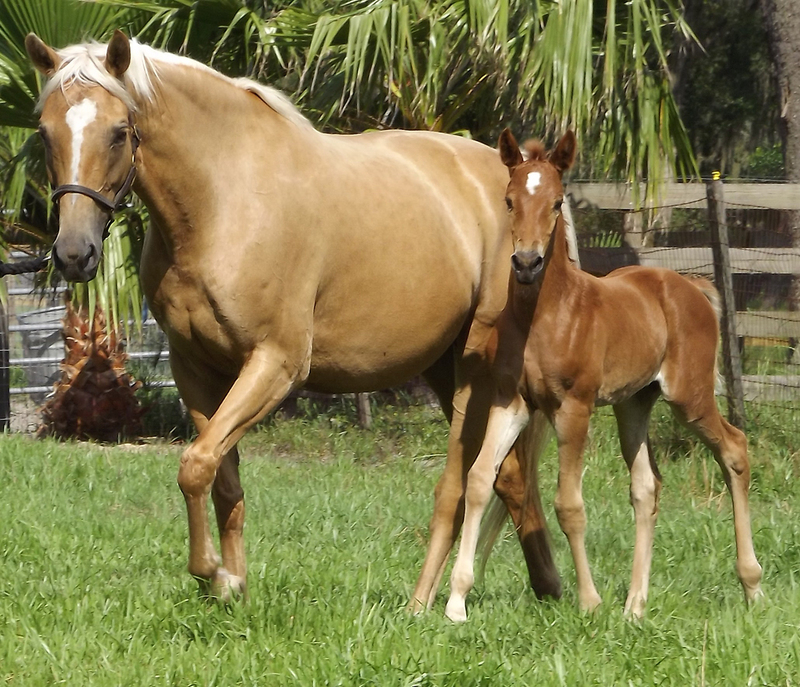 Born May 2013 sired by hanoverian stallion Liberty Gold (Londonderry x Walida) out of Buttercup ( Blue Eyed Dream GF x Wrummy). Lilly is a beautiful deep red chestnut with a star on her head. 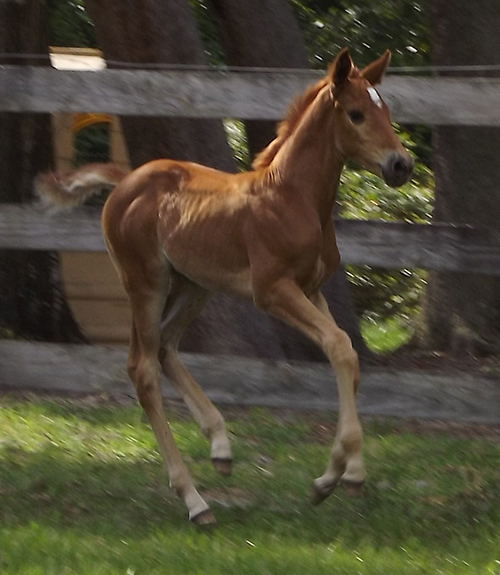 This filly is very sweet and personabe she is absolutley stunning and has potentiall for any discipline! Her sire Liberty Gold was Double Champion of both his Stallion Licensing in Verden and of his performance test at Adelheidsdorf, Germany. At his licensing in 2003, Liberty took highest honors excelling in his basic gaits, free jumping, confirmation, and overall suppleness. He stayed in Germany throughout 2004 to be started under saddle and to complete his performance testing in Adelheidsdorf. He was victorious at Adelheidsdorf, placing first of 42 horses, tallying high scores with a dressage index of 147.75 and an overall score of 140.93. The final scores were 9.33 on trot, 9.5 on canter, 8 on walk, 9 on Character and Temperament, 9.667 on Rideability, and a 9 on his willingness to work. 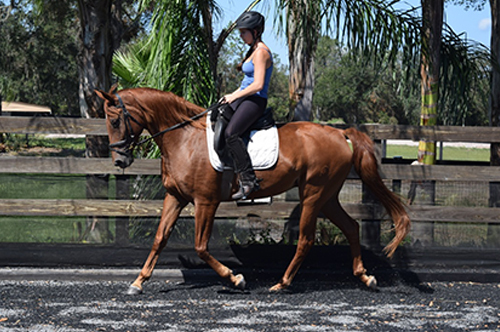 Lily's dam Buttercup was bred by us here at Equivale by age 7 was training succesfully at 4th level dressage ( only pausing her training to carry Lily) and is also an excellent combined driving horse as a pair and has always had a sweet and intelligent workerbee tempermanet. 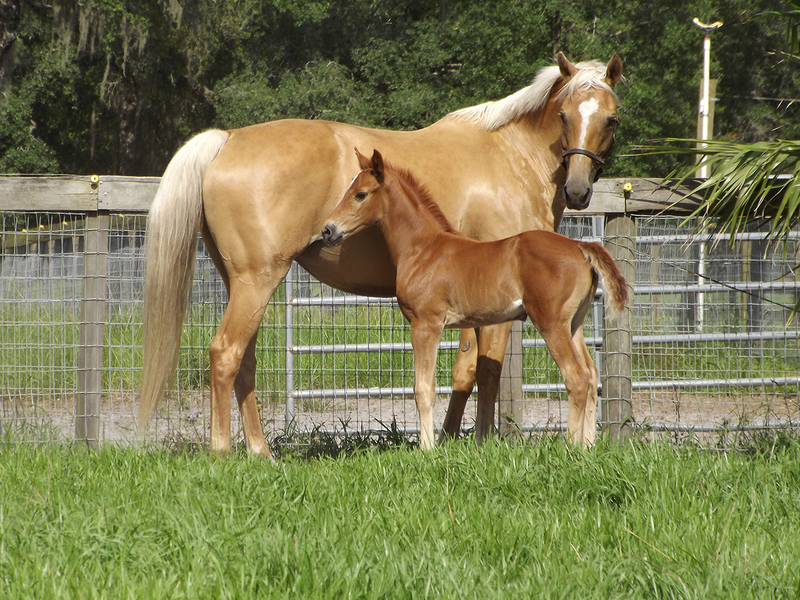 Lily was recently awarded First Premium at her AWR foal inspection with and overall score of 7.7!